Coffee and cocoa lovers are going to FLIP for this cute set. 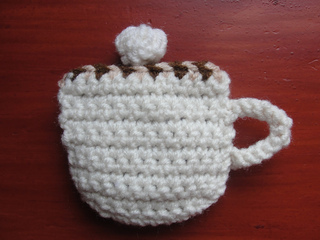 Now you can combine your love of COFFEE and crochet to make this adorable set for yourself or as a wonderful gift! 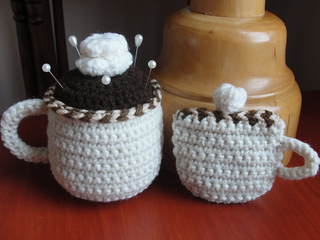 Pincushion crochets up to a generous size large enough to hold all your pins and tapestry needles. 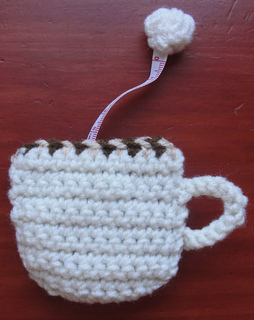 Tape Measure Coffee Cup covers standard retractable tape measure and is so fun to use!